Holidays or large events may cause you to have a larger amount of waste than normal. If you are separating recyclables from your refuse, you may not realize there are items not fit for reuse. You can’t recycle anything with food debris on it. So if those plates, paper towels and pizza boxes have any food residue on them, they can’t be recycled and have to be tossed in with the regular trash. If you find yourself with a ton of garbage bags or bulky items, consider contacting your local village hall or waste management company to see if they can take these without a significant price increase. For anything they won’t take or if you have too much garbage for a few cans, you may want to consider a small dumpster rental. With a 5 yard rental you can still dispose of quite a haul of trash and large, obtrusive items without breaking the bank. It might even help to make your post-event clean up faster and more efficient in the end. Our facility offers same day dumpster rental service in Burr Ridge. This location provides a 5 YRD, 10 YRD, 15 YRD, 20 YRD and 30 YRD dumpster for rent. We bring the dumpster via our company trucks and retrieve them when your rental time is complete. We also provide boards to protect your driveway or surface area. 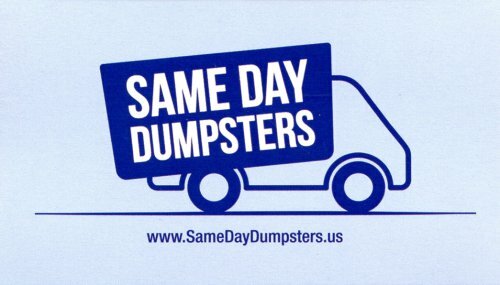 Same Day Dumpsters is a family owned and operated company that has been serving the Burr Ridge area for several years. We pride ourselves in offering high-quality dumpsters quickly and efficiently to serve any request. Whether you have a planned construction project or find yourself needing a cheap dumpster that afternoon because your basement flooded, we have you covered. Our Same Day Dumpster Rental team go the extra mile to make sure you and your projects are top priority. 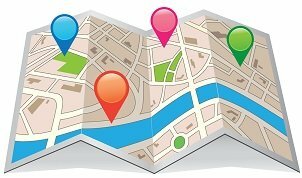 Conveniently located in Burr Ridge, Illinois, we are able to access the Burr Ridge area with lightning quick speed. We have experience serving the needs of fellow Burr Ridge residents such as yourself and are easily adaptable to any dumpster rental request you may have. Our team is geared towards making your project a success and we strive towards making the time you rent a dumpster as easy and stress-free as possible. If you are a contractor or construction company finding yourself in need of a dumpster rental company in Burr Ridge, give us a call. We can accommodate your large renovations, new building project and demolition rubbish removal needs. Our variety of dumpsters can handle your industrial materials and concrete debris. With same day dumpster rentals, we can have that container in and out of your job site quickly and efficiently. So, no matter if you are doing a large commercial roof tear-off or tearing up a foundation, Same Day Dumpsters can help get the job done.